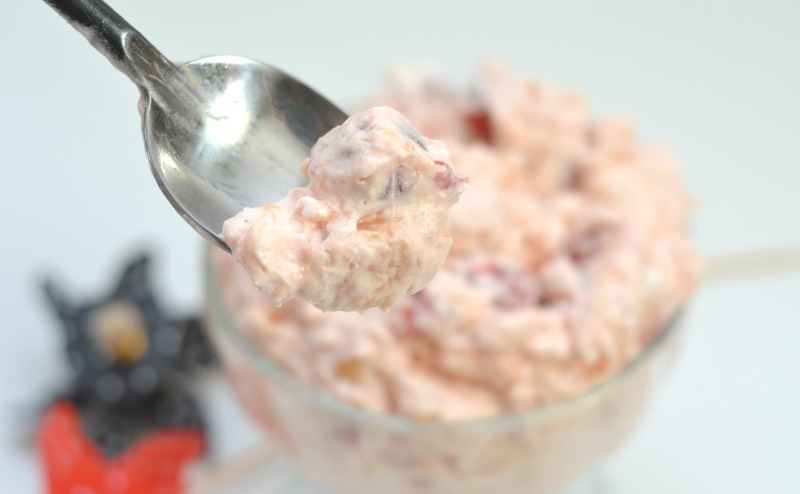 When it is hot out but you want a sweet treat, no one wants to turn on the oven so I am always on the look out for some creativity to make some delicious no-bake desserts. We have a lot of “salad” recipes that we love to enjoy during the summer that would be more like a dessert but I wanted to create something a little different because I was totally craving Cherry Pie. 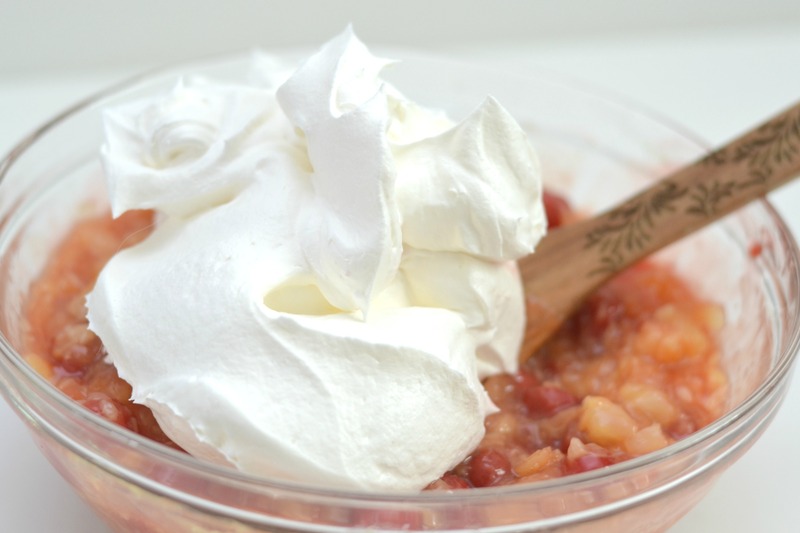 I am so glad I decided to make this Cherry Pie Fluff Dessert using Cherry Pie Filling, Pineapple, pudding mix and whipped topping. 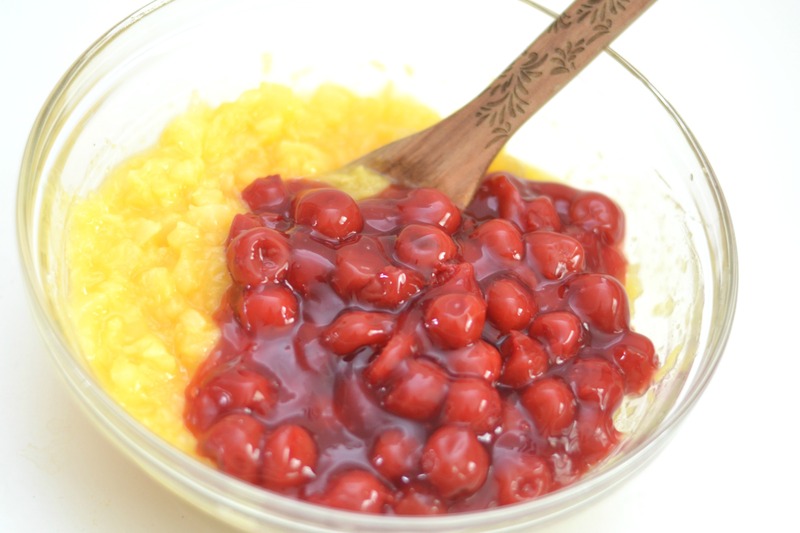 A perfect no-bake treat for summer when you get that craving for warm cherry pie! 1. In a large mixing bowl add crushed pineapple WITH juice. 2. Carefully add pudding mix to the pineapple and mix together. 3. Once pineapple, pineapple juice and pudding mix is all combined add in cherry pie filling and stir until well combined. 4. Carefully fold in thawed whipped topping and then stir together. Do not over mix. 5. Place fluff into refrigerator until ready to enjoy. Enjoy chilled. Optional – for some extra crunch, you can add nuts or coconut flakes to the fluff as well. I decided to make this Cherry Pie Fluff Dessert using Cherry Pie Filling, Pineapple, pudding mix and whipped topping. A no-bake dessert for a crowd! In a large mixing bowl add crushed pineapple WITH juice. Carefully add pudding mix to the pineapple and mix together. 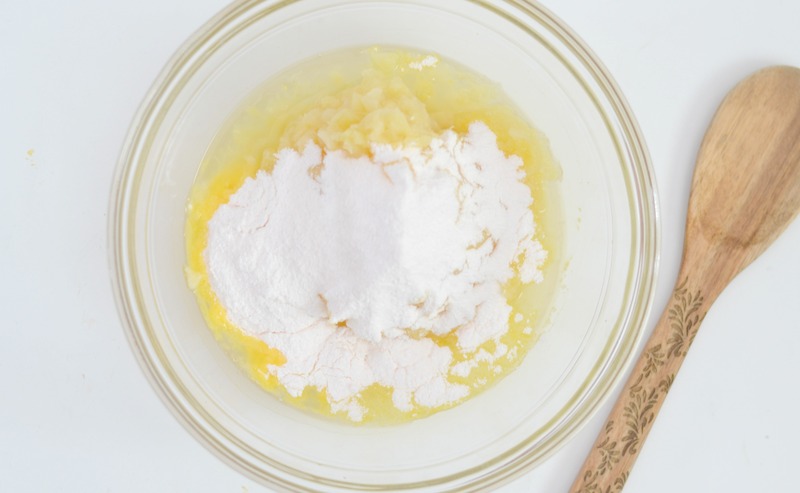 Once pineapple, pineapple juice and pudding mix is all combined add in cherry pie filling and stir until well combined. Carefully fold in thawed whipped topping and then stir together. Do not over mix. Place fluff into refrigerator until ready to enjoy. Enjoy chilled. Optional - for some extra crunch, you can add nuts or coconut flakes to the fluff as well. Delicious!! And what is great about this no-bake dessert is that it literally takes 10 minutes to make and it will feed a crowd! 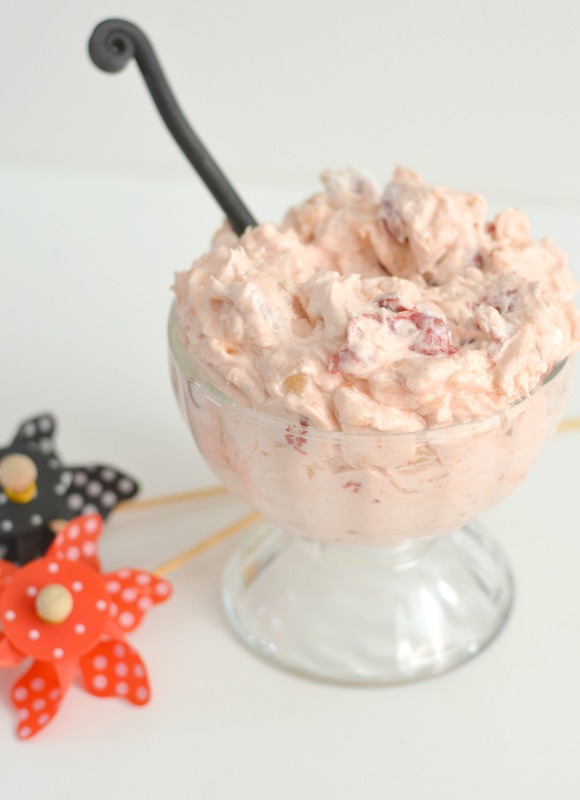 This is a great dessert recipe for those end of the summer gatherings and potlucks. Everyone will love the cool sweet treat. YUM!! 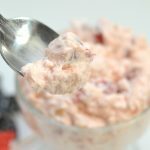 If you are looking for other “salad” recipes that also double as a dessert or sweet treat make sure you check out our family tradition of Frog Eye Salad and a new favorite called Strawberry Banana Fluff that has fresh bananas and strawberries! 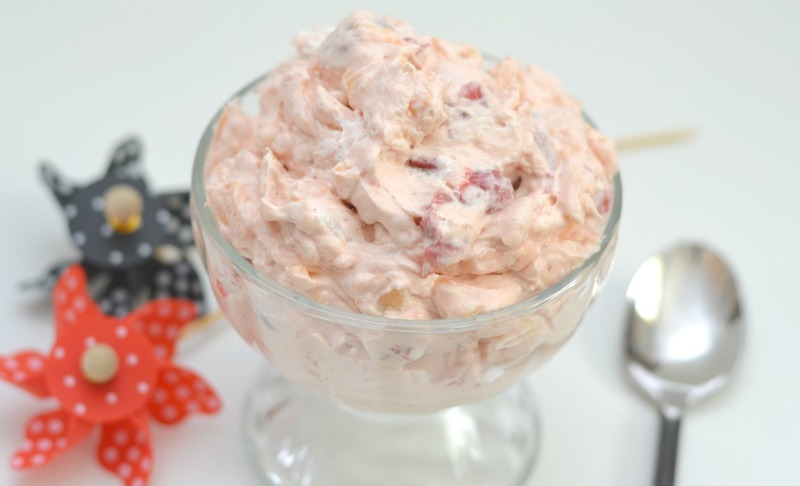 What is your favorite no-bake dessert for summertime? Looks delish! And similar to what my Grandma used to make when I was little! This looks yummy! Sounds easy to make too! I remember having desserts like this as a kid, an everyone loved it, of course. I’d like to try it! My mom made something similar to this growing up. It was always a hit at family parties!